Update: Since sharing the prompts all over social media and in my weekly email, I've discovered that prompts for days 3 and 5 are the same! My first reaction was to change it and delete the posts and apologise, but my second reaction was, oh, I made a mistake, I'm going to let it go (perfectionist me is feeling very twitchy) and hope that everyone takes the second opportunity to nourish themselves! Even though it’s a very long time since I lived by an academic calendar I still get that new start feeling every September. There’s the hopeful promise of a new season and there’s also the pressure of having only a few months left of the year. To help us ease that feeling of rushing into the last section of the year, and to be more mindful and present in each day, I create a community photo project each September. #BreatheSeptember2018 features a prompt for each day, it’s entirely up to you how you want to interpret it, whether you want to post a pic on Instagram every day, keep it to yourself or dip in and out when you feel like it. There is zero pressure with this, none of us needs anything more added to our to do lists! 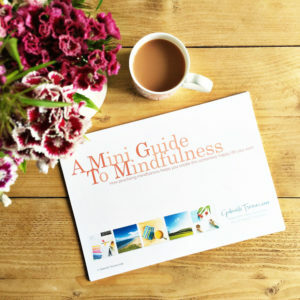 The intention behind this photo project is to take a moment to pause and breathe each day. To bring us back to the present, back to the here and now, before we hurtle forward into the future with our lists and deadlines. 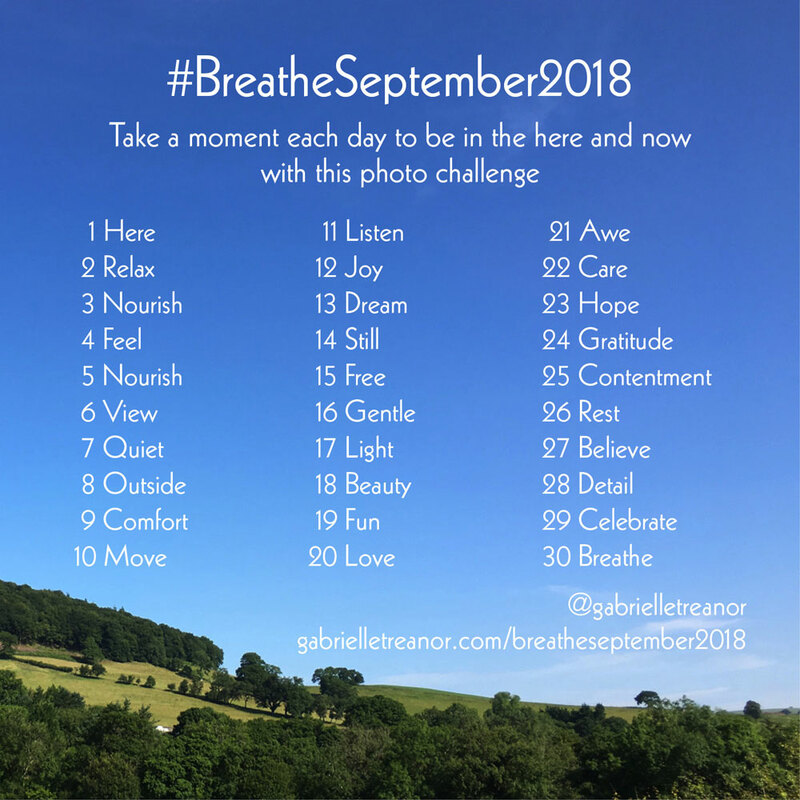 If you’d like to join in with the prompts from 1 September, save this list somewhere handy and post as often as you like with #BreatheSeptember2018. You can tag me as well @gabrielletreanor if you want to. Let’s use this as an opportunity to pause, to take a breath in, breathe it all out, and to be here now.